There was a time when Cicero held Caesar's life in the palm of his hand. But now Caesar is the dominant figure and Cicero's life is in ruins. His comeback requires wit, skill and courage - and for a brief and glorious period, the legendary orator is once more the supreme senator in Rome. 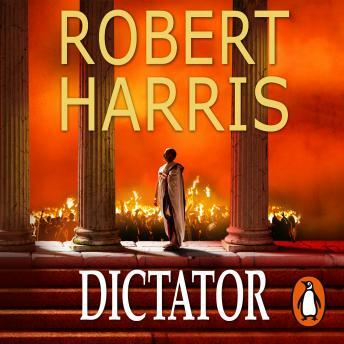 Riveting and tumultuous, DICTATOR encompasses some of the most epic events in human history yet is also an intimate portrait of a brilliant, flawed, frequently fearful yet ultimately brave man - a hero for his time and for ours. This is an unforgettable tour de force from a master storyteller.